Oggi mi piace segnalare il nuovo libro di Steven Weinberg, uno dei più grandi fisici viventi, considerato una sorta di leggenda del 20° secolo, che ha contribuito alla costruzione della struttura matematica che descrive la natura delle particelle elementari e delle interazioni fondamentali: stiamo parlando del modello standard. Intitolato “To Explain the World: The Discovery of Modern Science“, edito da Harper, Weinberg descrive in maniera magistrale la storia della Scienza a partire dagli antichi Greci fino ai nostri giorni. Il destino dell’Universo è davvero legato al bosone di Higgs? La risposta è: no! Il bosone di Higgs non è ‘pericoloso’ e non distruggerà l’Universo. Per fare meglio il punto su quanto riportato dai vari media in questi giorni, cominciamo con il dire che il bosone di Higgs è un tipo di particella, una minuscola fluttuazione di un campo scalare complesso detto campo di Higgs. Questa particella alquanto “modesta”, se si è fortunati a crearne una (ricordiamo che LHC ne produce una su un trilione di collisioni protone-protone) ha una vita molto breve perché si disintegra trasformandosi in altre particelle in una piccolissima frazione di secondo, meno del tempo che impiega la luce per andare da una “estremità all’altra di un atomo”. Se qualcuno la pensa diversamente è perché ha letto probabilmente le recenti dichiarazioni di Stephen Hawking in occasione dell’uscita del suo libro Starmus – 50 Years of Man in Space (post). Is our Universe math based? La recente scoperta del bosone di Higgs, o di una particella che gli assomiglia tanto, è stata prevista allo stesso modo con cui è stato scoperto Nettuno e le onde radio: la matematica. Una volta Galileo affermò che il nostro Universo è una grande libro scritto nel linguaggio della matematica. Dunque, la domanda è: come mai l’Universo sembra avere una struttura matematica e cosa vuol dire? Nel suo libro “Our Mathematical Universe: My Quest for the Ultimate Nature of Reality“, edito da Knopf, il cosmologo Max Tegmark tenta di spiegare il perchè l’Universo non sia esattamente descritto dalla matematica ma che invece sia la matematica stessa un ‘gigantesco oggetto matematico’ nel quale tutti noi facciamo parte integrante e che è a sua volta immerso in una struttura ancora più grande, insomma un multiverso così immenso che rende l’esistenza degli altri universi quasi insignificante a confronto. Max Tegmark leads us on an astonishing journey through past, present and future, and through the physics, astronomy and mathematics that are the foundation of his work, most particularly his hypothesis that our physical reality is a mathematical structure and his theory of the ultimate multiverse. In a dazzling combination of both popular and groundbreaking science, he not only helps us grasp his often mind-boggling theories, but he also shares with us some of the often surprising triumphs and disappointments that have shaped his life as a scientist. Fascinating from first to last, this is a book that has already prompted the attention and admiration of some of the most prominent scientists and mathematicians. “Our Mathematical Universe boldly confronts one of the deepest questions at the fertile interface of physics and philosophy: why is mathematics so spectacularly successful at describing the cosmos? Through lively writing and wonderfully accessible explanations, Max Tegmark—one of the world’s leading theoretical physicists—guides the reader to a possible answer, and reveals how, if it’s right, our understanding of reality itself would be radically altered.” —Prof. Brian Greene, physicist, author of The Elegant Universe and The Hidden Reality. “Daring, Radical. Innovative. A game changer. If Dr. Tegmark is correct, this represents a paradigm shift in the relationship between physics and mathematics, forcing us to rewrite our textbooks. A must read for anyone deeply concerned about our Universe.” —Prof. Michio Kaku, author of Physics of the Future. “Tegmark offers a fresh and fascinating perspective on the fabric of physical reality and life itself. He helps us see ourselves in a cosmic context that highlights the grand opportunities for the future of life in our Universe.” —Ray Kurzweil, author of The Singularity is Near. “Readers of varied backgrounds will enjoy this book. Almost anyone will find something to learn here, much to ponder, and perhaps something to disagree with.” —Prof. Edward Witten, physicist, Fields Medalist & Milner Laureate. “This inspirational book written by a true expert presents an explosive mixture of physics, mathematics and philosophy which may alter your views on reality.” —Prof. Andrei Linde, physicist, Gruber & Milner Laureate for development of inflationary cosmology. “Galileo famously said that the Universe is written in the language of mathematics. Now Max Tegmark says that the universe IS mathematics. You don’t have to necessarily agree, to enjoy this fascinating journey into the nature of reality.” —Prof. Mario Livio, astrophysicist, author of Brilliant Blunders and Is God a Mathematician? “Scientists and lay aficionados alike will find Tegmark’s book packed with information and very thought provoking. You may recoil from his thesis, but nearly every page will make you wish you could debate the issues face—to—face with him.” —Prof. Julian Barbour, physicist, author of The End of Time. “In Our Mathematical Universe, renowned cosmologist Max Tegmark takes us on a whirlwind tour of the Universe, past, present—and other. With lucid language and clear examples, Tegmark provides us with the master measure of not only of our cosmos, but of all possible universes. The Universe may be lonely, but it is not alone.” —Prof. Seth Lloyd, Professor of quantum mechanical engineering, MIT, author of Programming the Universe. “Max Tegmark leads his readers, clearly and accessibly, right to the frontiers of speculative cosmology —and indeed far beyond.” —Prof. Martin Rees, Astronomer Royal, cosmology pioneer, author of Our Final Hour. “A lucid, engaging account of the various many—universes theories of fundamental physics that are currently being considered, from the multiverse of quantum theory to Tegmark’s own grand vision.” —Prof. David Deutsch, physicist, Dirac Laureate for pioneering quantum computing. Scientific American: Is the Universe Made of Math? Oggi mi piace segnalare l’e-book “Higgs Discovery: The Power of Empty Space” di Lisa Randall che descrive l’importanza ed il significato della recente scoperta del bosone di Higgs, o di una particella che gli assomiglia tanto (post). L’e-book ha avuto talmente successo al punto che l’editore ha deciso di pubblicare una versione cartacea. Quella che segue è l’intervista della Harvard Gazette all’autrice che spiega le motivazioni che l’hanno portata a scrivere il libro. GAZETTE: Why did you write this book, and for whom is it written? RANDALL: The discovery of the Higgs boson was a remarkable event (post). The particle was predicted based on the need for a consistent theory to describe what was known about nature half a century ago. The Large Hadron Collider (LHC), the 27-kilometer-circumference machine near Geneva, was built to look for new particles and forces and the underlying nature of matter. One of the goals was to find the Higgs boson, a particle that helps us understand how elementary particles acquire their masses. Yet no one knew for certain when, and even if, it would be found. When the discovery was announced on July 4, 2012, I was on vacation on the island of Patmos, Greece, where I was attending a wedding. I literally heard about the discovery on the balcony of the one café with Internet nearby on the island. I listened to a live feed (supplemented with Twitter for when the signal was too low). I was thrilled, but also frustrated to be so far from my work and my colleagues at the time. And many people immediately wrote to me to express excitement but also to ask many questions. Even though they were fascinated, they didn’t quite know what it was that had been found. Having just written a book, “Knocking on Heaven’s Door,” which among other things explained the LHC and the search for the Higgs boson (see video), I wanted to be able to answer those questions and complete the story (at least this part of it). But I also wanted to return to full-time research and not be burdened with another book so soon after finishing the previous one. So I decided to write a short e-book, but only if I could do it in a week. I happened to be in London en route to a European science conference immediately after Greece and spoke to a partner of my book agent who advised against an e-book, suggesting (correctly, in my opinion) that if writers agree to the terms, they will lose out in the end. But she saw that I really was excited and read on my laptop what I had managed to write the evening before and quickly changed her mind, agreeing that it could be a good thing. My publisher, Ecco, signed on and agreed to a quick turnover (amazing in the publishing world) and added two chapters I had written on the Higgs boson for my previous two books. GAZETTE: In the simplest, easiest, most rudimentary terms, what is the Higgs boson? RANDALL: The Higgs boson is a particle associated with the masses of elementary particles. Notice the careful phrasing. There are two common misconceptions about the Higgs boson that are important to know if you want to truly understand it. First of all, the Higgs boson is associated only with elementary particle masses such as that of the electrons or particles called quarks inside protons and neutrons. Most of the mass of common matter is a result of the strong binding force in those protons and neutrons. It would exist even without the Higgs boson. But the mass of the most basic particles we know about, those building blocks of matter of which all ordinary stuff is made, can only be explained by something called the Higgs mechanism. The Higgs mechanism is a result of something called a field that extends throughout space, even where no particles are present. This notion is probably most familiar to you from a magnetic field. You feel a force between a magnet and your refrigerator even when “nothing” is there. A field can fill “empty” space. The Higgs field extends throughout space. Elementary particles acquire their masses by interacting with this field. It is kind of like space is charged and particles get mass through their interactions with this charge. Now, back to the Higgs boson. The Higgs boson is not directly responsible for mass. The Higgs field is. The boson is a particle that tells us our understanding of this mechanism is correct. It also is a big clue as to where that field came from in the first place. Its discovery tells us that what we expected to be true was indeed correct, and it gives us clues as to what else might underlie the Standard Model. GAZETTE: What are the implications of its discovery? What’s next? RANDALL: First of all, it means our understanding of what is called the Standard Model of particle physics is correct. We understand the basic building blocks of matter and the forces through which they interact. We now also know how they get their masses. But there are still many properties we have yet to understand. Chief among the questions we’d like to answer is why masses are what they are. Not only are all the elementary particle masses different from each other, they are one ten-thousand-trillion times smaller than we would expect if we tried to estimate them based on the equations given by quantum mechanics and special relativity. It turns out this is an extraordinarily challenging problem. The answer could give us deep insights, not only into particle physics but into the nature of space itself. The LHC will search for answers to these questions, both by looking for new particles and by better measurements of the Higgs boson’s properties. Any new information helps us move forward. GAZETTE: Why should the layperson care about the Higgs boson? RANDALL: No one necessarily “should.” They can live their lives without this knowledge. But I do think those who care should have access to understanding. And I also have seen that many do care. I think the reason has to do with being human and curious and wanting to understand the world and Universe in which we live. I also think the discovery is rewarding in that it truly represents progress, both technical and scientific. In a world with many problems where progress isn’t always clear, it is wonderful to see science so clearly advance and for us to be able to answer such basic questions that help us better understand our Universe. GAZETTE: What are you at work on now? RANDALL: I’m currently thinking about a couple of different questions. One major research focus is the matter that isn’t part of the Standard Model, namely dark matter. That is matter that doesn’t interact via the forces like electromagnetism under which ordinary matter interacts. We know about it because of its gravitational influence. We would like to know more about what it is. Along with others, I’m thinking about the possibility that some part of the dark matter interacts under its own forces, dark light if you like. This could have dramatic effects on our galaxy and structure formation, all of which makes it rather rich and interesting. In a world with many problems where progress isn’t always clear, it is wonderful to see science so clearly advance and for us to be able to answer such basic questions that help us better understand our Universe. Nel libro che mi piace segnalare oggi, Heart of Darkness: Unraveling the Mysteries of the Invisible Universe, edito dalla Princeton University Press, gli autori Jeremiah P. Ostriker e Simon Mitton descrivono l’incredibile saga che gli scienziati stanno affrontando per svelare i segreti più profondi dell’Universo. Nel corso degli ultimi trent’anni, gli scienziati hanno scoperto che due componenti di cui ignoriamo ancora la loro origine e natura, e cioè la materia scura e l’energia scura, comprendono la maggior parte del contenuto materia-energia dell’Universo, spiegano l’evoluzione di tutte le strutture cosmiche e sono la chiave che guiderà il destino del nostro Universo. I due autori raccontano la storia di come generazioni di scienziati di tutto il mondo abbiano raccolto le prove a favore del cosiddetto modello cosmologico standard, l’attuale quadro teorico che descrive la nascita e l’evoluzione dell’Universo. 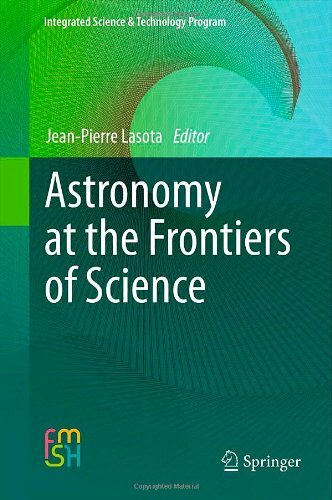 Il libro passa in rassegna i primi tentativi degli antichi per cercare di comprendere il ruolo della Terra nel Sistema Solare, l’esplorazione della Via Lattea e delle nebulose extragalattiche, fino ad arrivare alla rivelazione delle fluttuazioni primordiali da cui si sono sviluppate successivamente le strutture cosmiche. Gli autori spiegano inoltre i principi fisici e la storia dell’attuale modello che descrive il nostro Universo e come esso abbia superato una serie di test sperimentali. Va sottolineato come tre aspetti fondamentali della ricerca scientifica, e cioè l’applicazione della misura diretta e dell’osservazione, l’introduzione di modelli matematici e il fatto che le ipotesi dovrebbero essere verificabili, sostengano comunque il nostro paradigma della moderna cosmologia. Insomma, la storia pare ben lungi dall’essere completa nonostante gli scienziati stiano tentando da un lato di comprendere le cause che hanno portato alla formazione delle strutture cosmiche e dall’altro stiano cercando di svelare i segreti dell’Universo ‘invisibile’. Il testo che mi piace segnalare oggi è Gravity’s Engines: How Bubble-Blowing Black Holes Rule Galaxies, Stars, and Life in the Cosmos un libro di Scientific American/Farrar, Straus & Giroux scritto da Caleb Scharf, direttore del Columbia Astrobiology Center. Da molto tempo sappiamo che i buchi neri rappresentano quelle “regioni” dell’Universo dove i concetti di spazio e di tempo non hanno più senso. Spesso questi oggetti, che possono raggiungere masse dell’ordine di miliardi di volte la massa del Sole, si celano nei nuclei delle galassie. Essi sono così misteriosi, enigmatici e talmente distruttivi che nemmeno la luce riesce a sfuggire alla loro intensa attrazione gravitazionale. Studi molto recenti hanno condotto ad una serie di scoperte che hanno messo in luce, è il caso di dire, un nuovo lato dei buchi neri. Come spiega lo stesso autore, questi mostri del cielo non solo attirano qualsiasi cosa che gli passi vicino ma danno luogo ad enormi getti di materia e radiazione che si diffondono in maniera simmetrica nello spazio intergalattico rispetto al piano del disco di accrescimento. Queste immense strutture, chiamate bubbles, riciclano la materia circostante e creano nuove strutture cosmiche. L’autore ci conduce in un viaggio alla ricerca delle risposte alle domande più profonde sulla natura dell’Universo attraversando la nostra galassia, la Via Lattea, e ricordandoci che essa fa parte di una sorta di “zoo cosmico” nel quale esistono altri miliardi di galassie. E’ forse una coincidenza il fatto che ci troviamo proprio adesso nella Via Lattea? Potrebbe esserci una relazione tra la natura dei buchi neri e il ruolo che essi hanno nell’Universo anche in termini della vita come noi la conosciamo? Dopo tutto, noi stessi siamo fatti di polvere di stelle.